Lessons from the Seven Species we eat at Tu B’Shvat. 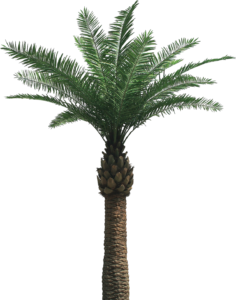 The date: The date palm is a tree that has no flowers and no smell to draw attention to it. But the fruit is delicious. The date reminds us that there are so many places in our world we might think unremarkable, so many plants and animals we find ignorable, but they all have value. The fig: The fig has lots and lots and lots of seeds inside it. Every fig that falls tries to create lots and lots and lots of new fig trees. Why aren’t there millions and millions of figs trees in the world, then? Because not all our seeds grow. The fig reminds us not to be discouraged when our efforts don’t work out. We have to keep trying. The citrus: We don’t eat orange peel, here in America. But to the Jews of Eastern Europe, the whole orange, a fruit from the land of Israel, was desirable. They ate each segment slowly, tasting the delicious flavor. They smelled the citrus fragrance. Then they even ate the peel. The orange reminds us of how much we have and how much we waste that others could use. The almond: Its hard shell protects its sweet fruit. The almond reminds us that shells have purposes, that sometimes hard is better. The raisin: It’s old and wrinkly but so sweet and good! Add a little water and it plumps right up. The raisin reminds us that a small bit of care can have great results. The olive: Did you ever try to eat an olive right off the tree? It’s awful! But if you “cure” it by soaking it and rinsing it several times in salt water and other things, it becomes delicious. Sometimes it takes a lot of work to make something awful into something good. But the olive reminds us that it’s worth the trouble to figure out how and that it’s worth the time it takes. The carob: Sometimes people say that carob is just like chocolate. It’s not. If you think it should be like chocolate, it’ll never be good enough. The carob reminds us to accept things and enjoy them for what they really are. If this is the kind of interpretation of Jewish culture that appeals to you, you can learn more in God-Optional Judaism, available from http://jewishcurrents.bigcartel.com/ or Amazon. E-book coming soon.